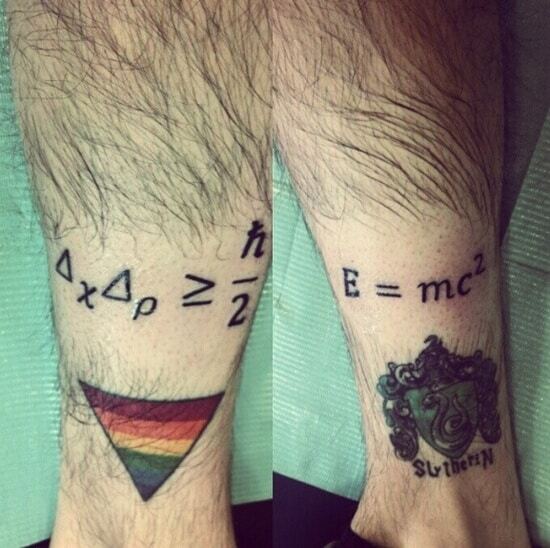 I have to admit I’m not the best at math or science, there are many people that simply adore these subjects! 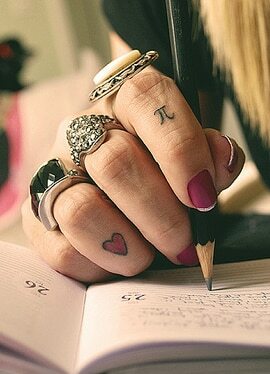 In text books science and math is just a series of equations that some lucky people find easy to understand. 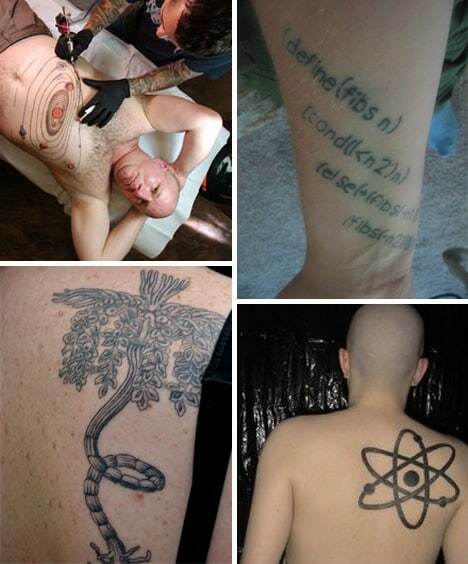 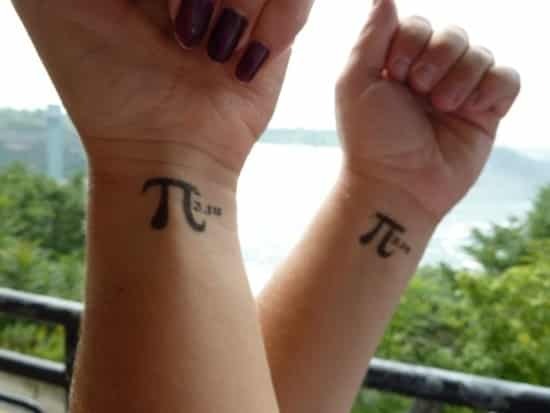 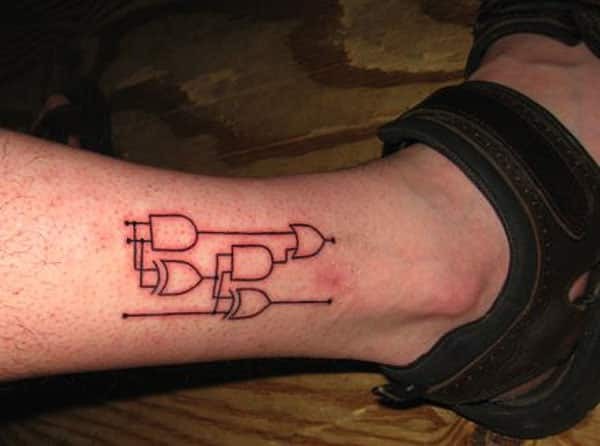 These math and science geeks love the topics so much they decide to get some cool science and math tattoos. 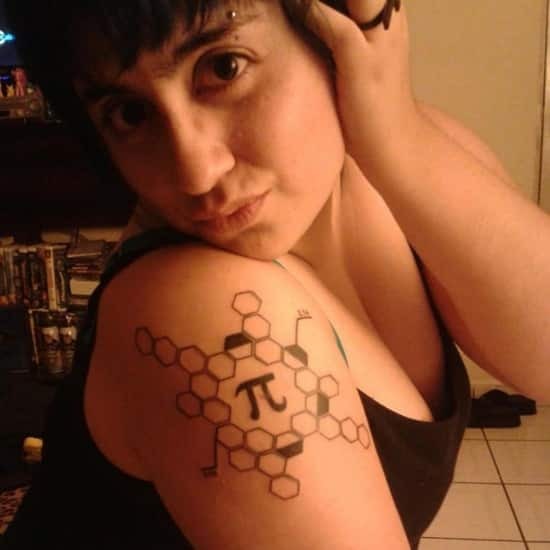 Hence if you love numbers or anything to do with science. 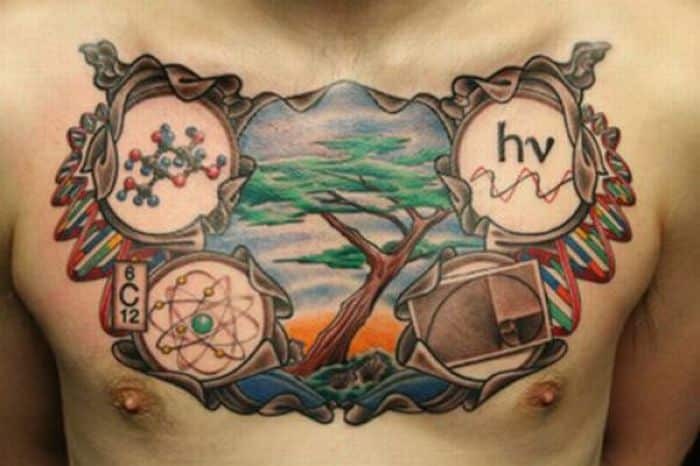 Such as chemistry, physics, biology or complex mathematical symbols they also make for great tattoo designs. 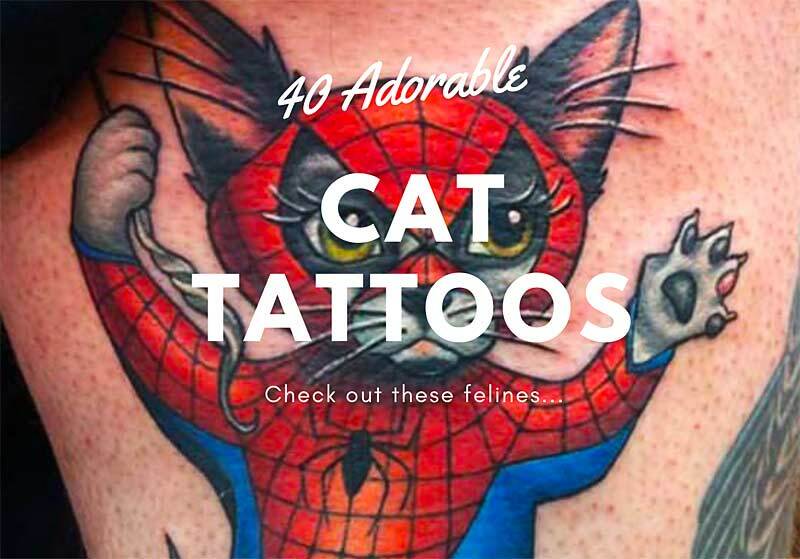 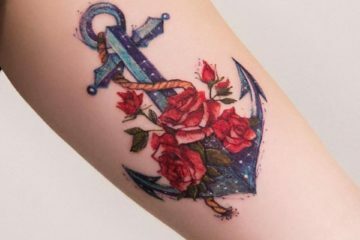 Tattoo art that is based around numerical symbols or astrology signs or any kind of scientific sign or math mark are seen as intelligent and highly thought provoking. 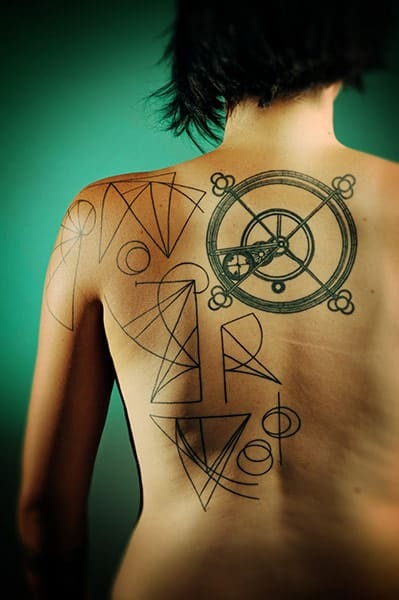 It is for this reason that number tattoos, astrology designs and math equations make for such fantastic ink designs. 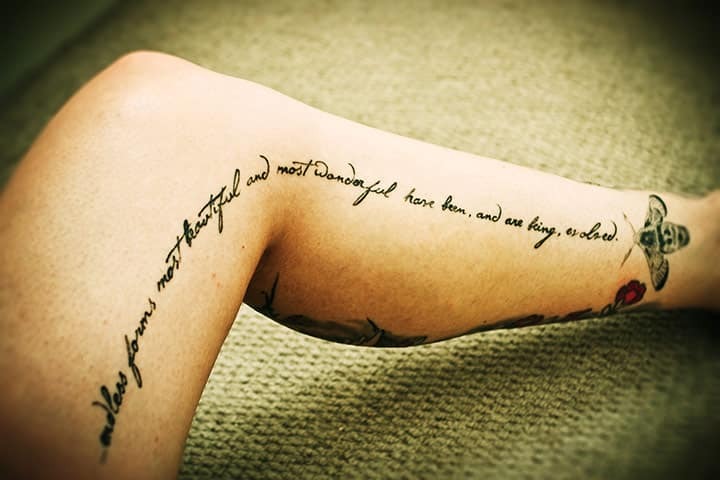 These body art styles also look amazing when paired with artistic script and flowing text characters. 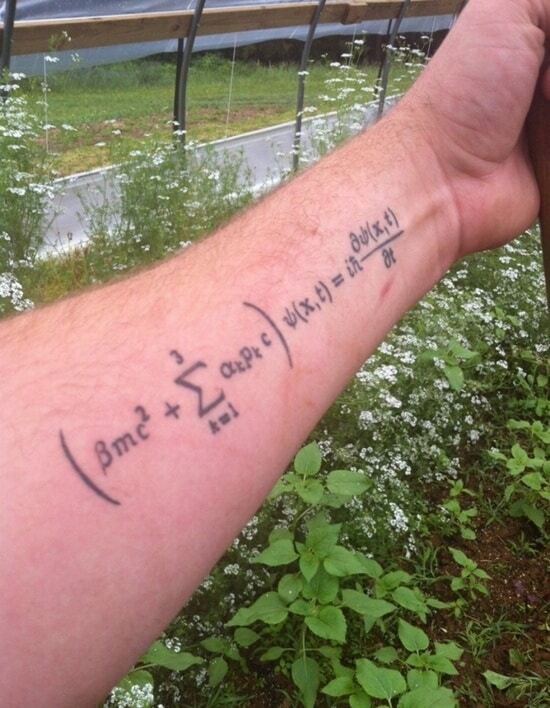 So if you are good with numbers, science, algorithms and all things brainy and geek. 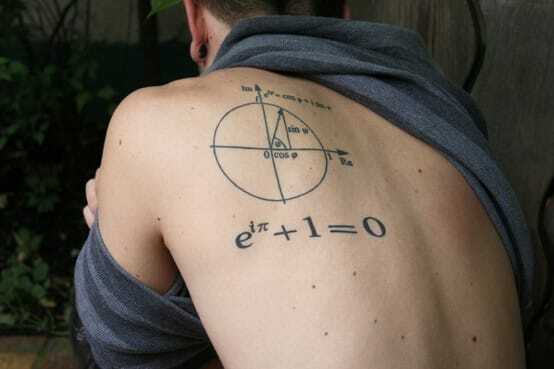 Chances are that you will appreciate these really cool math and science themed tattoo designs. 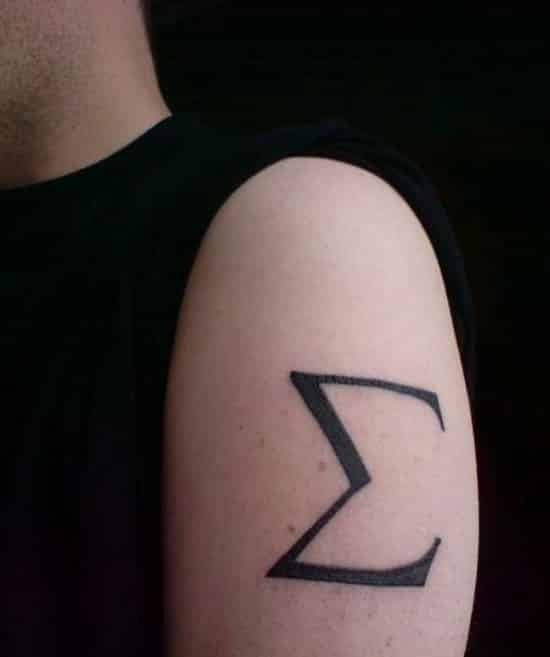 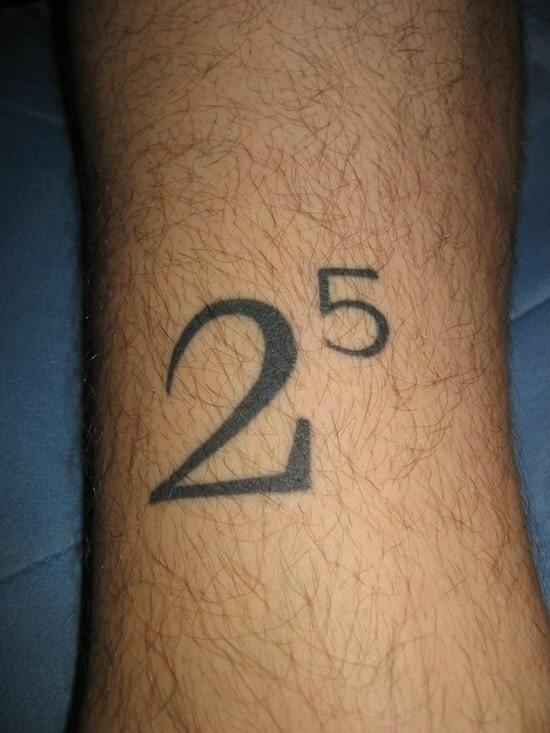 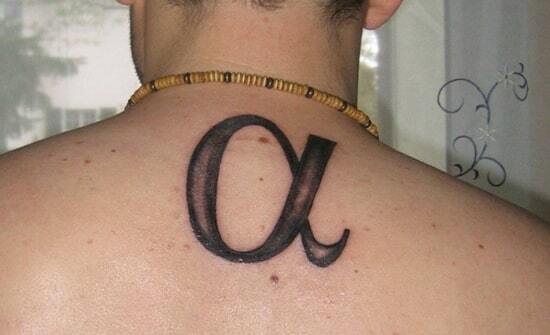 If you’re a real mathematics geek and simply love science, maybe you should consider getting a numbers tattoo? 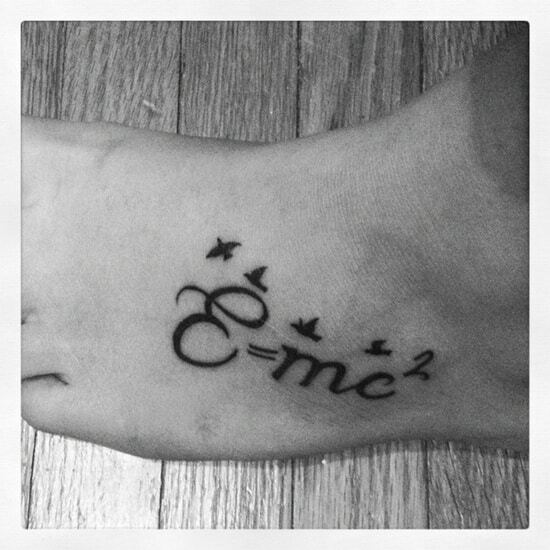 These science and math tattoos showcase some amazing tattoo ideas featuring E=MC2, Albert Einstein. 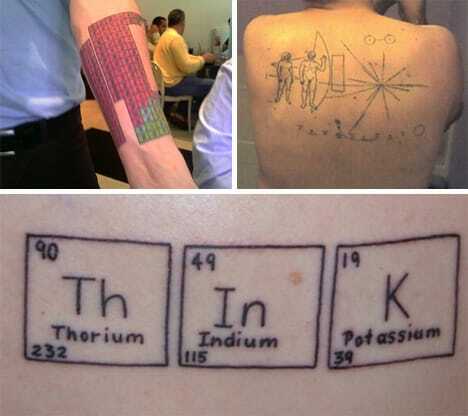 Plus awesome DNA artwork, numbers, science and math quotes and even the solar system. 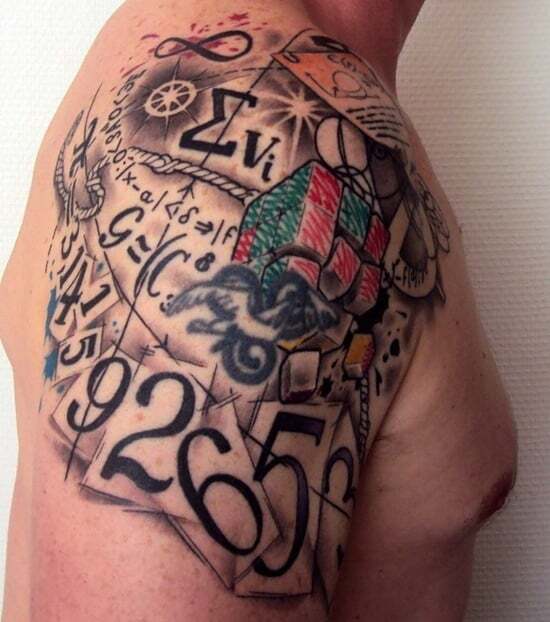 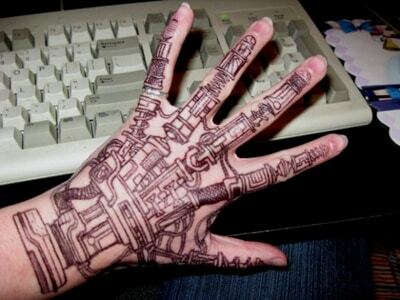 So checkout the weird science on these awesome math tattoo designs. 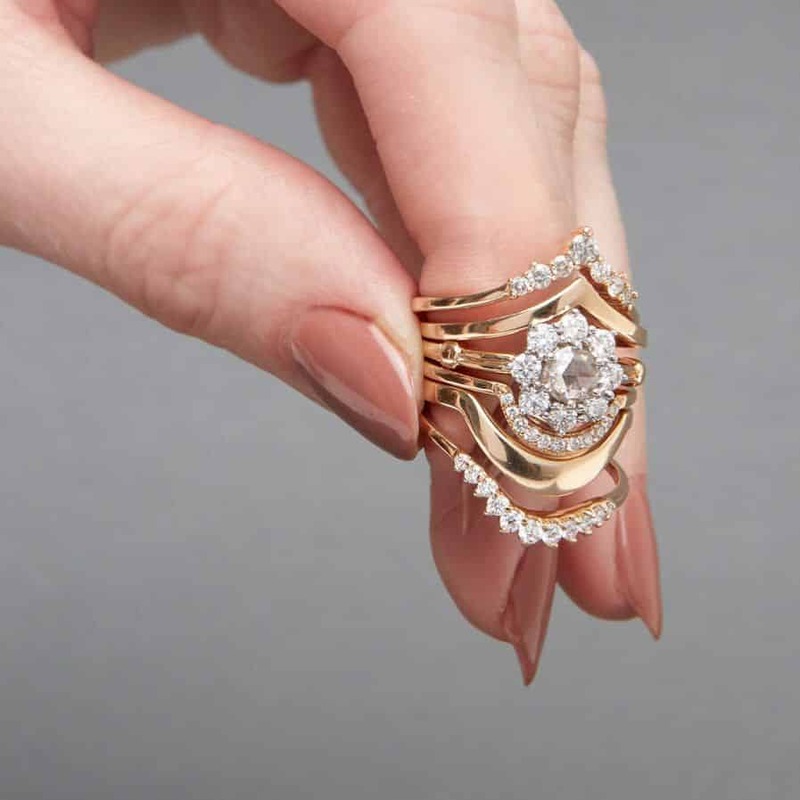 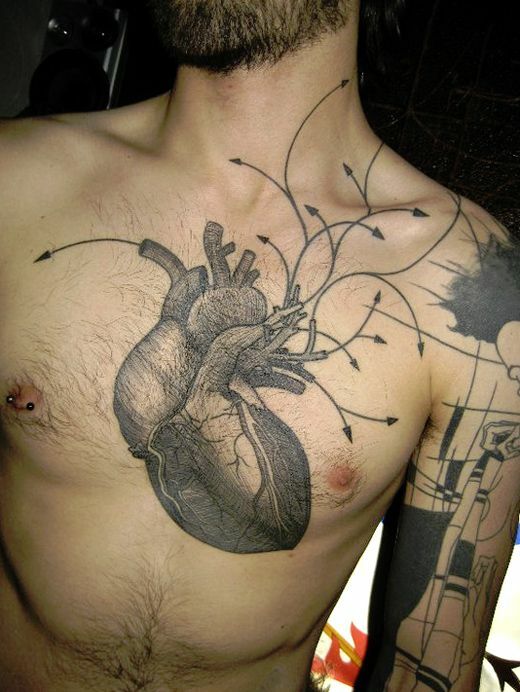 If you are in the mood for a similar design be sure to consult your tattoo designer or artist. 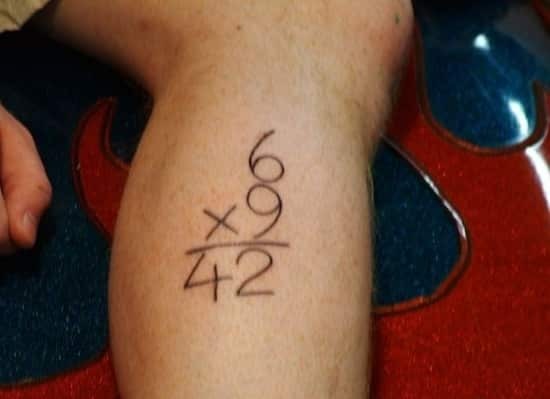 At the end of the day you know it all adds up. 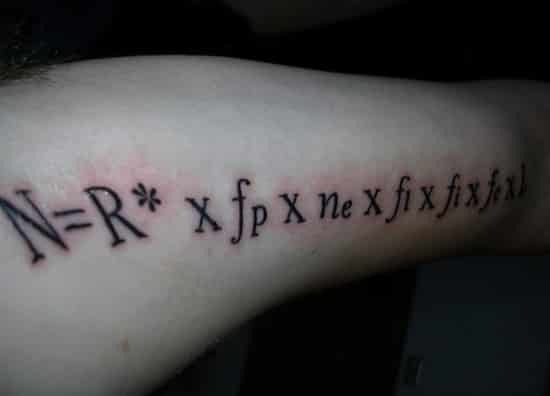 I guess if your leg isn’t long enough you just have to do your sums on the other leg instead. 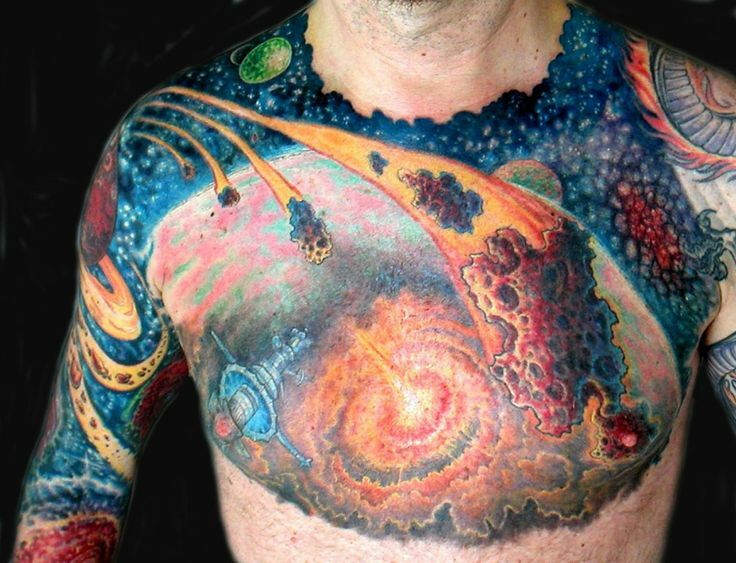 This massive science tattoo design covers the bulk of this guys chest, impressive but not for everyone. 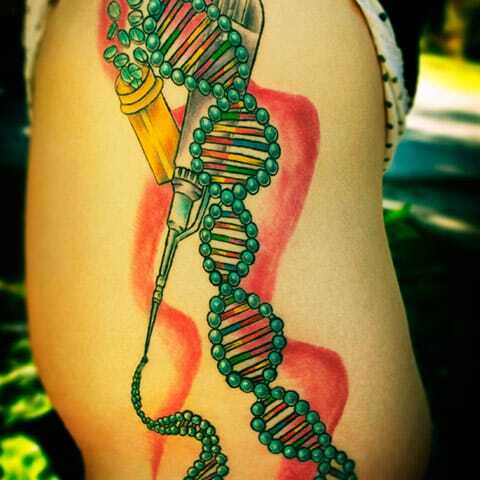 Colorful DNA tattoo leg design that if going to get you noticed in shorts. 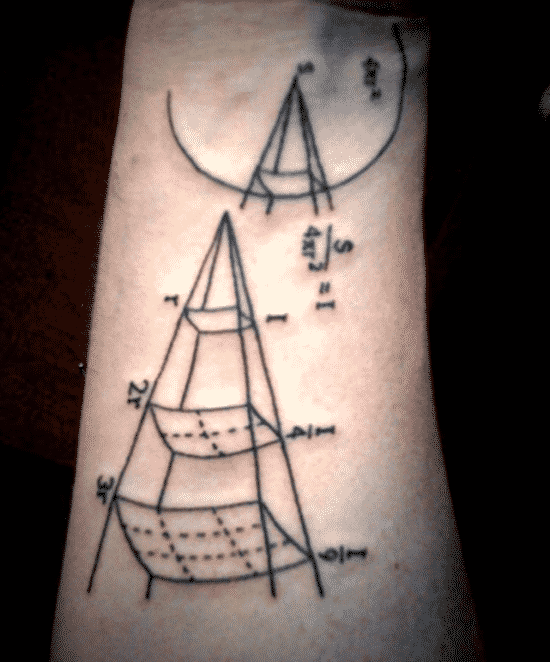 If you like all over scientific script then this could be the science tattoo creation that you have been searching for. 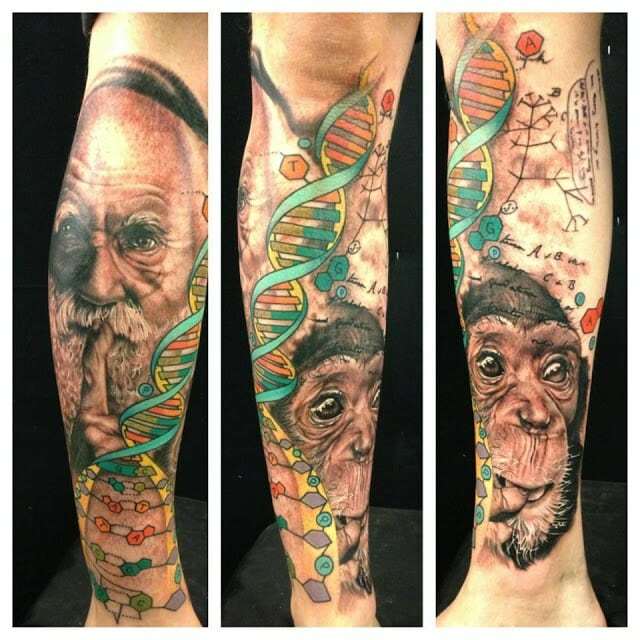 Colorful strands of DNA in this tattoo example design. 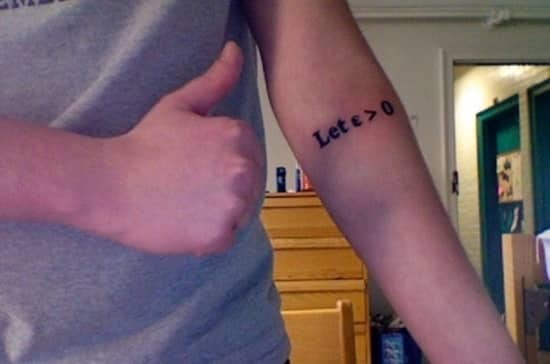 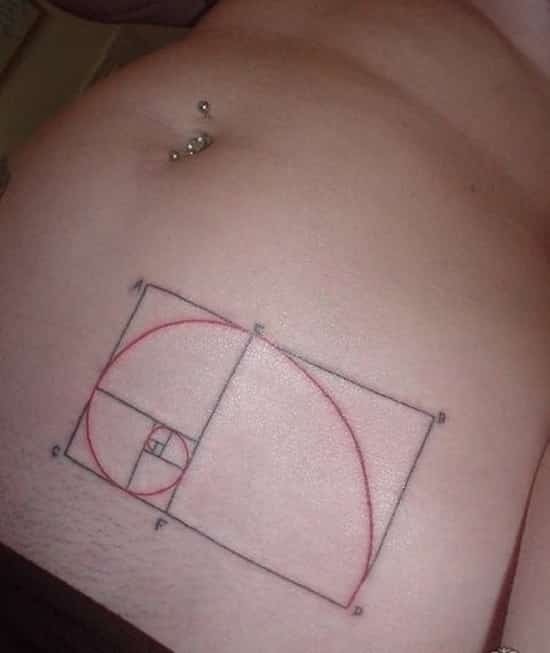 A minimalist math tattoo design that is not too invasive either. 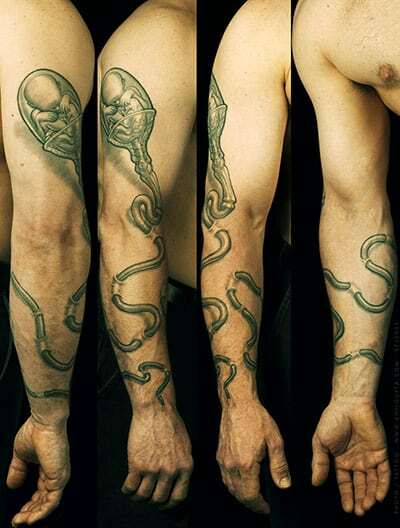 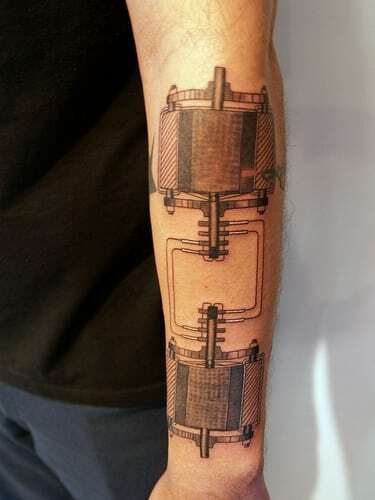 The science of the arm, this piece of scientific themed body art runs from the wrist all the way to the shoulder. 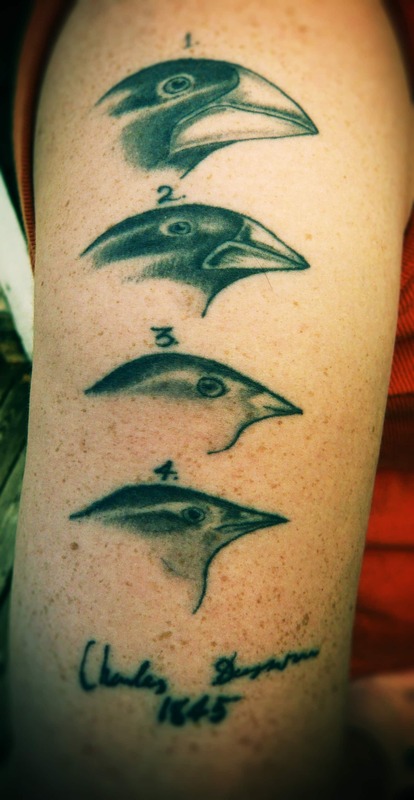 A oool tattoo design possibly depicting the evolution of the species over time. 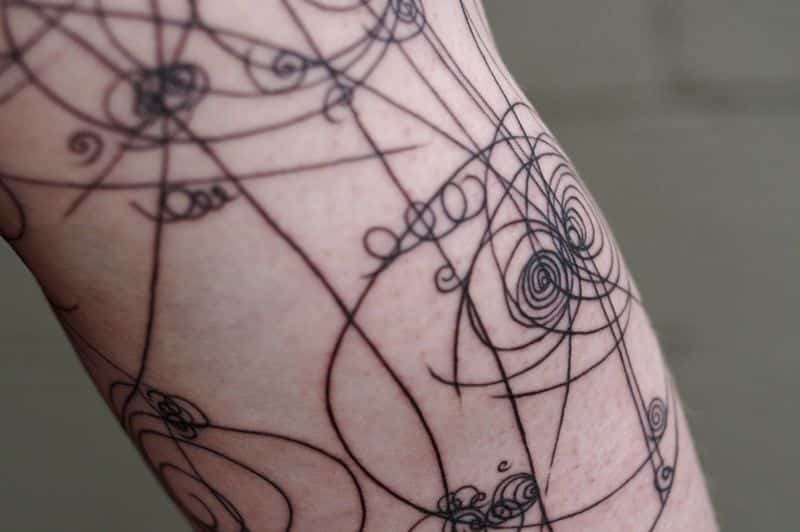 More scientific script in this spirally tattoo example, thin lines depict formula and mathematical themes. 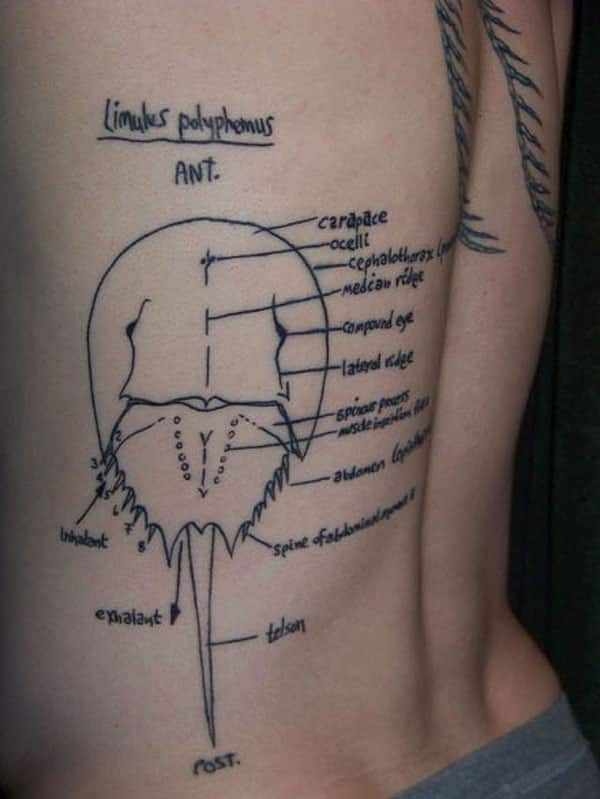 This is a biology themed science tattoo depicting the characteristics of a species. 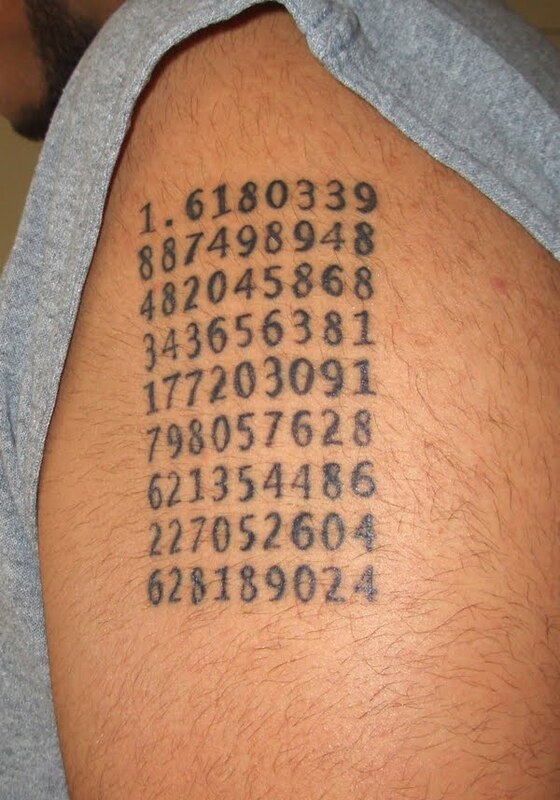 Code like numbers are a feature of this particular design, a sequence of code, security numbers, who knows for sure. 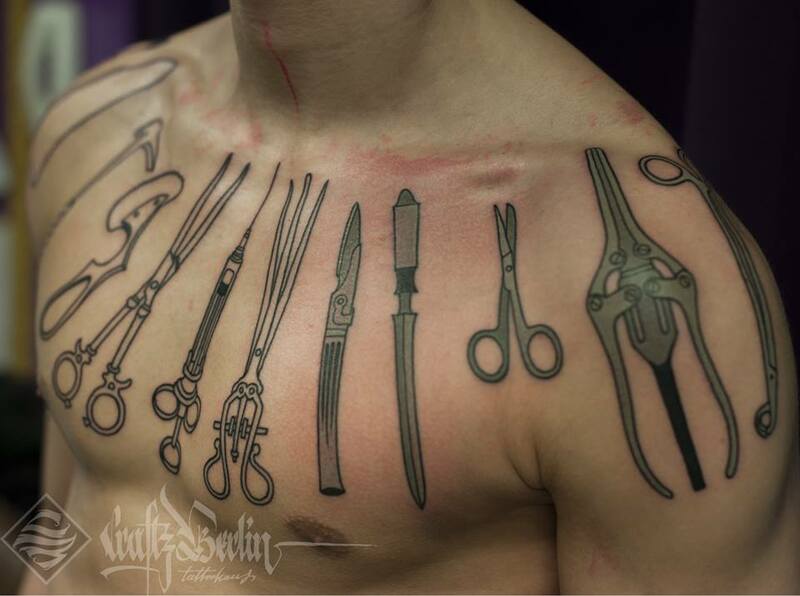 The instruments of medicine and biology are displayed here on this impressive chest and shoulder design. 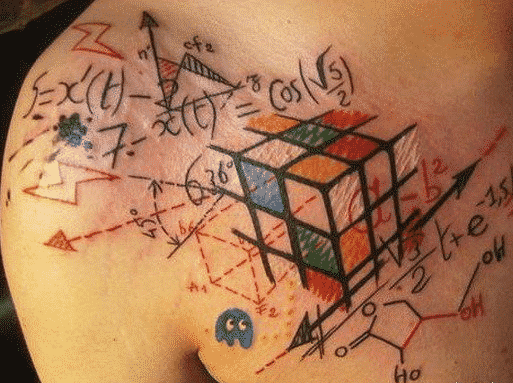 Mathematical symbols and a puzzle cube are a feature of this creative design and body art. 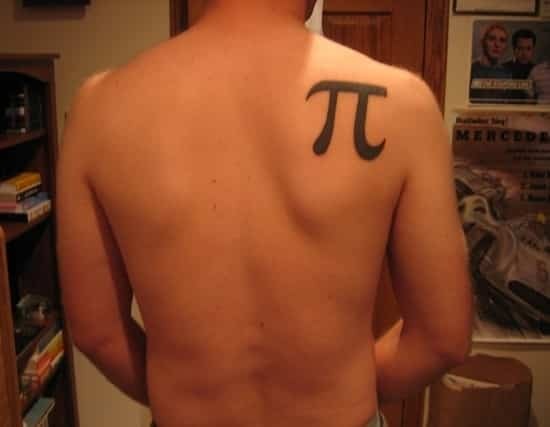 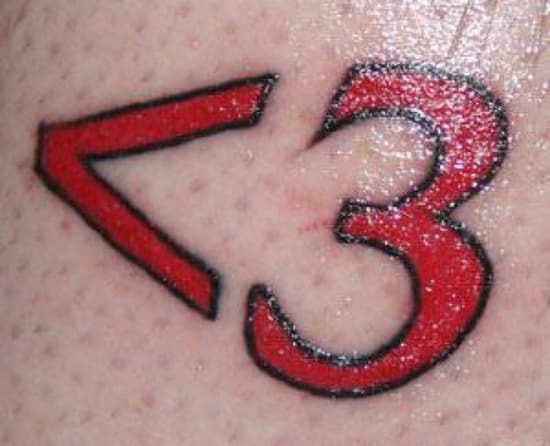 There you have it, if you love numbers and all things science there are 55 math and science tattoo ideas to startÂ number crunching on. 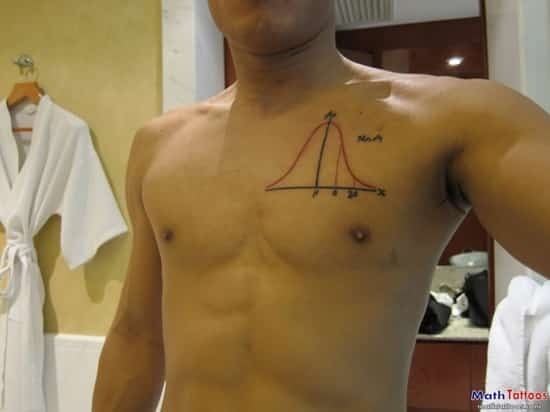 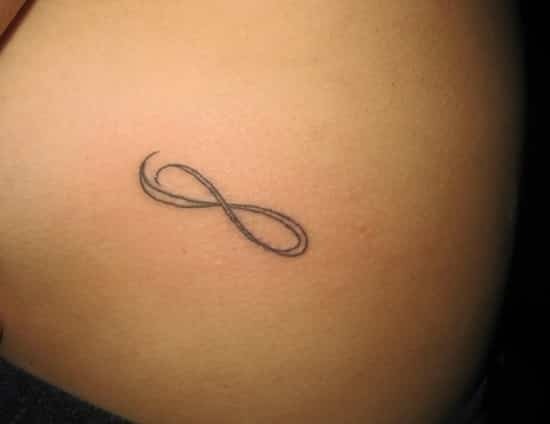 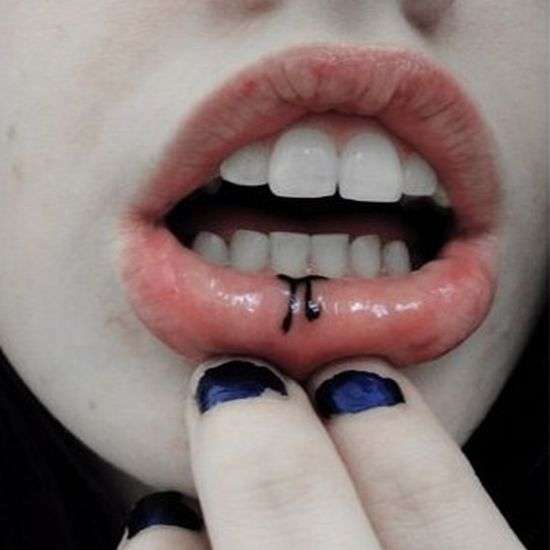 With these unique tattoo ideas you can opt for minimalist math tattoo designs or go for something bigger and bolder. 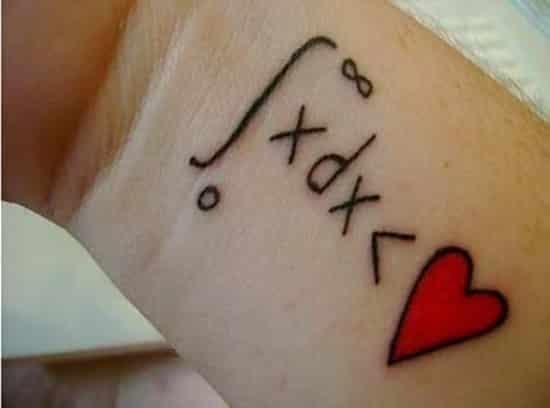 It depends how geeky you are and how much you love your maths and science topics. 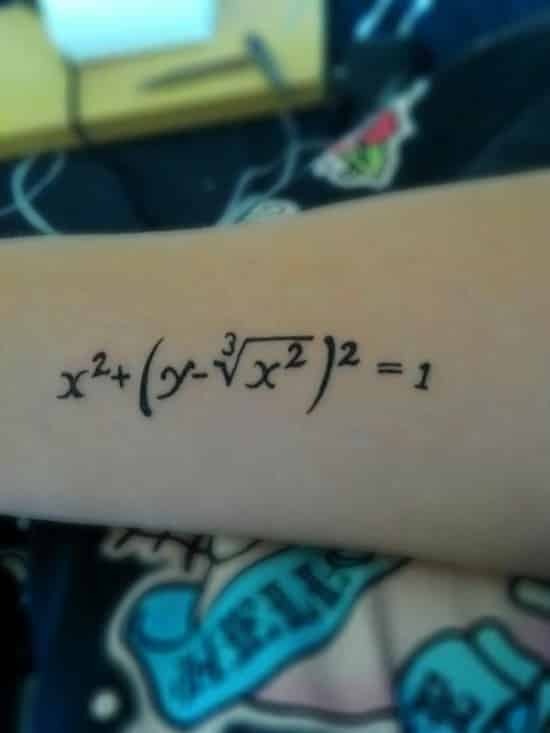 Be inspired and go out there and find yourself a truly awesome new math tattoo design for an empty spot on your body. 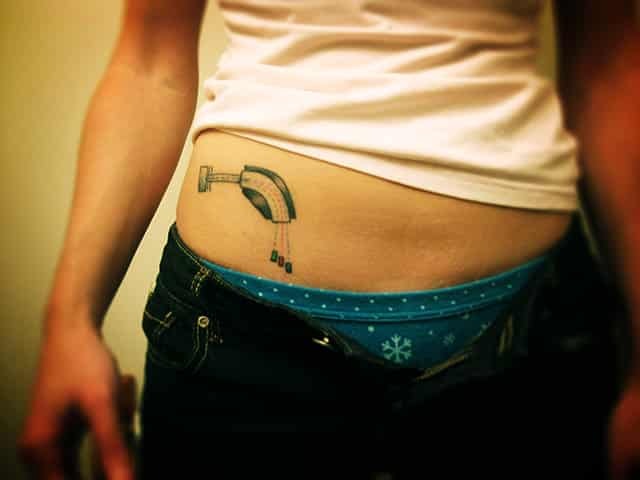 Who ever said getting inked with a tattoo wasn’t so smart? 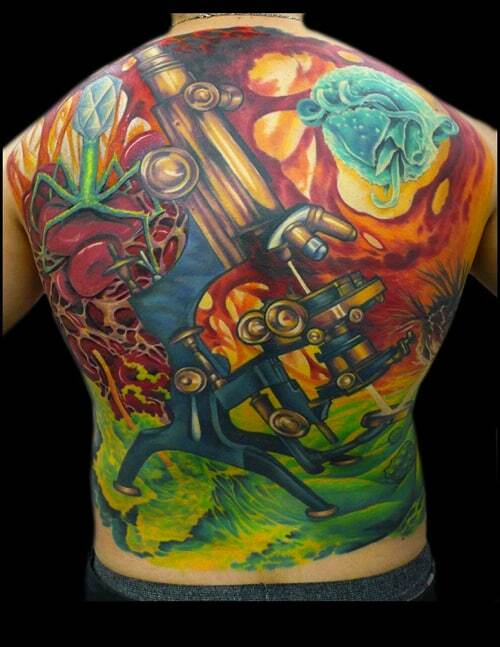 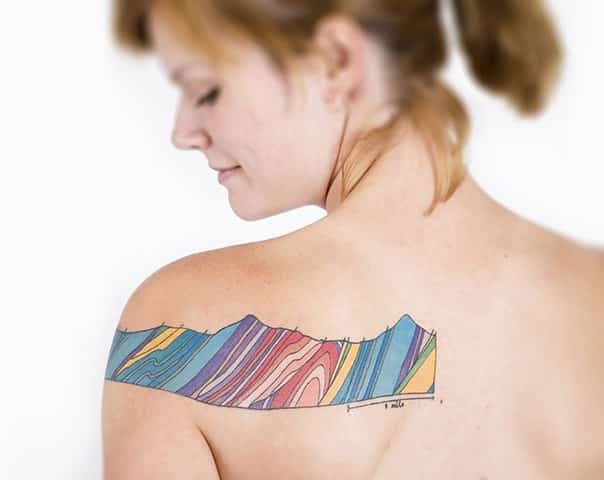 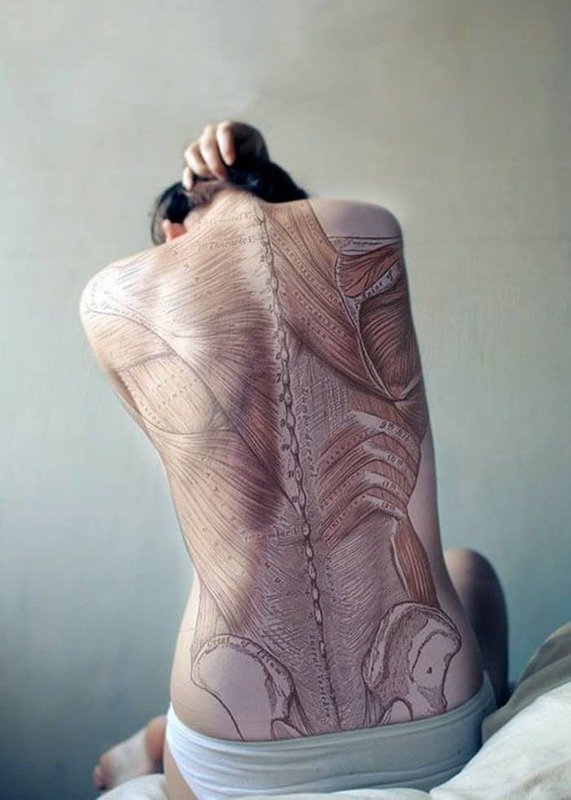 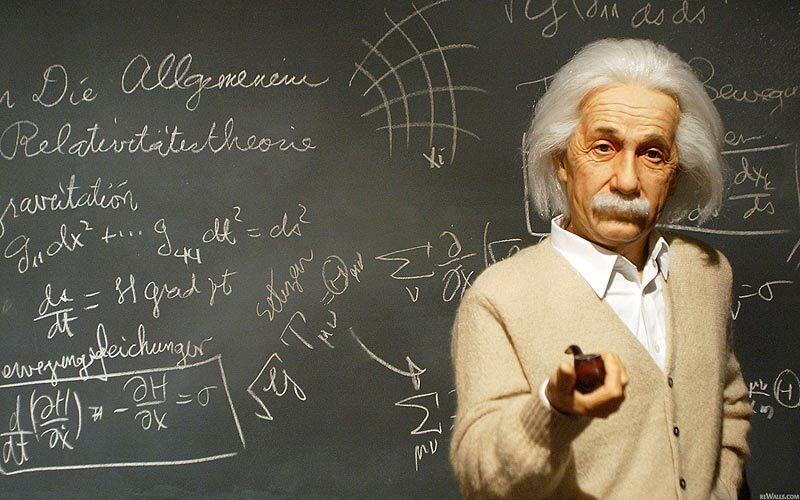 Einstein would approve of these science themed body art ideas, you just know that. Inking aÂ maths and science tattoo simply countsÂ up on every level.